Chad is a practice leader in Gorove/Slade’s Prince William County office. 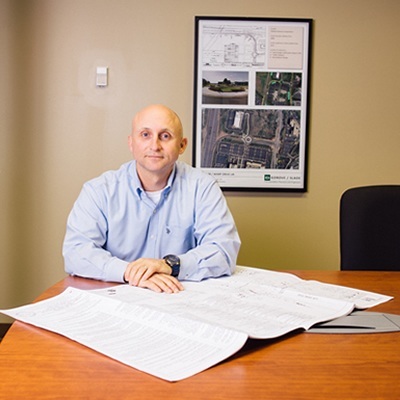 He possesses over two decades of transportation engineering and planning experience. Chad serves both the public and private sector from his base in Haymarket, VA.
Chad’s experience includes traffic impact studies, parking studies, circulation planning, queuing analyses, traffic simulation, roadway signing and striping planning, maintenance of traffic plan design, and traffic signal design. He’s advanced projects associated with every land-use including schools, residential developments, universities, small and large commercial facilities, mixed-use developments, and transit-oriented developments. Chad’s market focus is in Prince William County and Southern Fairfax County. His projects also take him to Stafford County, Spotsylvania County, Fauquier County and Culpeper County. 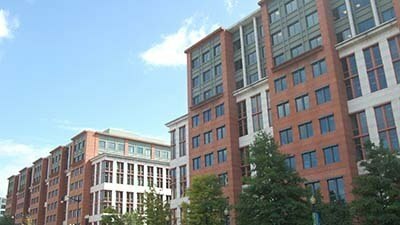 He manages several of the firm’s on-call engagements throughout Northern Virginia. Chad holds a Bachelor’s Degree in Civil Engineering from Roger Williams University. He is a member of the Institute of Transportation Engineering (ITE), the National Association for Industrial and Office Properties (NAIOP), and the Northern Virginia Transportation Alliance (NVTA). From New Boston, NH, Chad attended college in Bristol, Rhode Island. He was the starting catcher all four years of his collegiate baseball career. He moved to the Washington DC area after graduaton and now lives in Haymarket, Virginia with his wife (Amber), two sons (Tristan & Jackson), and daughter (Chloe). Outside of work, Chad coaches a youth baseball team – the Virginia Cannons – and is the league’s Vice President of Baseball Operations.